This $2000 PC makes no noise despite an Intel Core i7 processor and NVIDIA GeForce GTX 950 graphics card. Hate the sound of a powerful PC revving up its fans? Compulab’s Airtop system might be the gaming rig for you. Airtop’s fanless design uses an array of flat copper heat pipes that run sideways and lengthwise across the case, drawing heat away from the CPU and GPU, FanlessTech reports. The outer panels consist of 14 air-filled tubes, which conduct heat from the pipes. The air then rises up and out the top of the case. To reduce heat further, the power supply is kept outside of the case itself. The result is a system that can handle 200W—half for the processor on one side of the case, and half on the other side for the graphics card—without making a sound. 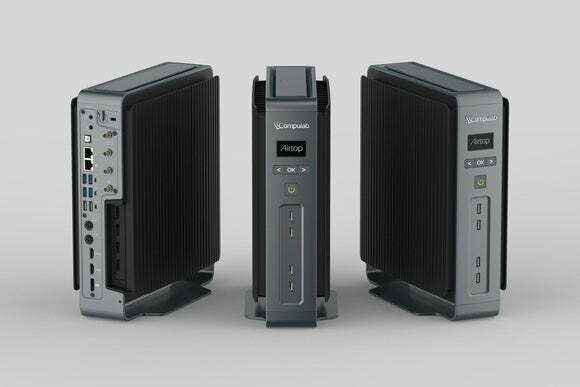 While we’ve seen some other impressive fanless PCs lately, the Airtop is much more powerful, and it only measures one foot tall, 10 inches deep, and 4 inches wide. That’s not to say the Airtop is without any compromises whatsoever. According to Anandtech, Compulab has been designing this system for three years, and as such it only supports Intel’s 5th-generation Broadwell processors, as opposed to the latest Skylake chips. The case also doesn’t support USB 3.1 or NVMe, a new technology for faster SSD access. The Airtop isn’t cheap either, due to all the proprietary, custom cooling tech inside. The case and custom motherboard alone will cost $1128, or you can pay $1968 to include an Intel Core I7-5775C processor and Nvidia GeForce GTX 950 graphics cards. Server and workstation configurations are also available with Intel Xeon E3-1285L processors. Keep in mind the base price doesn’t include RAM, storage, or an operating system, but the case includes six storage slots (four 2.5-inch SATA, one M.2 M-key SATA, and one mSATA) and two DDR3 slots for up to 32 GB of RAM. Why this matters: The Airtop is the first gaming-focused fanless PC we’ve seen in more than a decade, when Zalman released a series of similar designs. 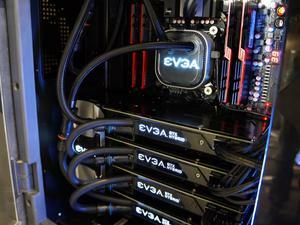 Although it may not have the visual flare of your average liquid-cooled rig, a passive cooling system could be a lot less hassle to deal with.